Come learn about western lowland gorillas, discover what the bush meat trade is and learn more about conservation through responsible tourism. 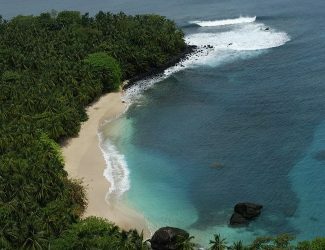 The Fernan-Vaz Gorilla Project (FVGP) was initiated in the year 2000 with the vision of ´tourism pays for conservation´. The initial aim was to improve the quality of life of 4 gorillas then living in a research facility at the “Centre International de Recherche Medical” in Franceville, Gabon (CIRMF). 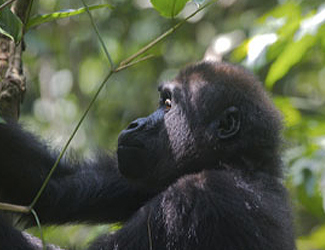 Though the initial goal was to transfer them onto an island where they could roam free, it soon became apparent that the life histories of these gorillas, as well as the level of adaptation required from life-long captive individuals to adjust to a larger natural area, did not allow for a full release onto the island of Evengué. 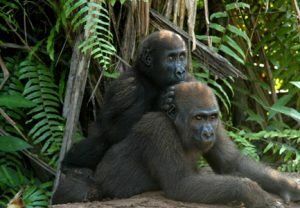 Thus, these gorillas were transferred into a semi-natural electrified enclosure, hence the Fernan-Vaz Gorilla Sanctuary. Reintroduction of these gorillas is not possible since they have lost their critical survival skills and have become completely habituated and dependant on humans for their survival. 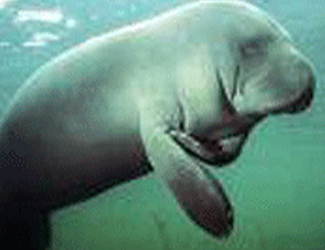 However, they play a very important and special role as conservation ambassadors. 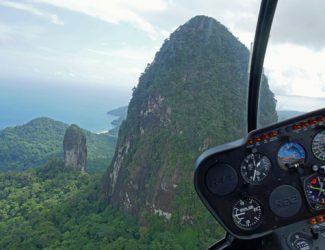 Through education and responsible tourism, FVGP hopes to contribute to raising global awareness on the on-going bush meat crisis that is leading to the disappearance of all Great Ape species in the wild. 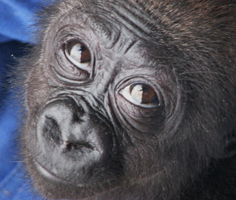 Through the years, several gorilla orphans have arisen as ´by-products´ of the bush meat trade. For the few orphaned gorillas who survive, they are destined to be sold ILLEGALLY in the live pet trade. Many people who see these orphans, either at markets or in villages, are tempted to purchase them in order to rescue them. This is the last thing people should do. In fact, purchasing these orphans in ´wanting to rescue them´ will only perpetuate the pet trade since hunters will supply the ´perceived´ demand. Since November 2006, four gorillas have been confiscated by the ´Ministere des Eaux et de la Foret´ and brought to the Fernan-Vaz Gorilla Project, with the hope to one day reintroduce them into the wild. Six gorillas are currently part of the Rehabilitation & Reintroduction Programme; they reside in the forest during the day with their keepers to learn wild gorilla behaviour (Rehabilitation). Visits are not allowed, due to the fact that these gorillas should have as little contact with humans as possible, to enhance their possibilities of one day returning to the wild (Reintroduction). Quarantine Period. Once legally confiscated and transferred to the FVGP, all gorillas undergo a minimum quarantine period of 3 months. The quarantine period allows the gorilla(s) to gradually get accustomed to their new surroundings and their keeper, as well as for proper health screening to get done. Social Integration. Once the quarantine period is over and the orphans have been deemed as ´disease free´, he or she then undergoes social integration with all the other orphans undergoing daily forest rehabilitation. Reintroduction in the wild. It is hoped that we can one day reintroduce these gorillas back into their natural and wild environment. For this reason, other than disease transmission issues, human contact is non-existent with these gorillas. 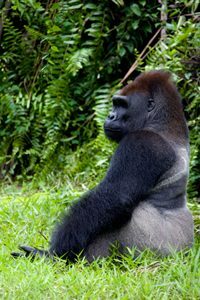 In 2005, the Max Planck Institute of Evolutionary Anthropology in collaboration with Africa’s Eden, initiated a project for habituating wild lowland gorillas and chimpanzees within Loango National Park for the joint purposes of ecotourism and research. In addition to the conservation activities together with our partners: Max Planck Institute and the Fernan-Vaz Gorilla Project, Africa’s Eden also supports individuals researchers, mostly in terms of on-the-ground logistical support and accommodation. Below a few examples of supported research by Africa’s Eden.